We are always looking for ways to cut down on our expenses. From car insurance to monthly utilities to food costs, there's always room for improvement. No household can afford to be wasteful. We already have some procedures in place to shop economically and prevent food waste with weekly planning and prep. But in many households, including my own, this barely scratches the surface. The toughest nut to crack for most families is the old chestnut of energy waste. Whether it’s through ignorance, negligence or just plain forgetting, the average American home wastes a lot of energy. In fact, as a nation we’re almost 70% energy inefficient. That’s almost two-thirds of the energy generated in the United States that is wasted. In many cases, diligence is always your greatest defense against energy waste. Unplugging devices instead of leaving them on standby, installing replacement windows with an energy-efficiency rating, switching off air conditioning or heating when leaving the house and limiting your time in the shower are all great measures that every family should adopt. Some of us, however, need a little help. Thankfully, the miracle of modern technology has given us some devices to make saving energy easier than ever. Did you know that most American households waste 40 gallons of water per day in the shower? Experts recommend that to save water your shower should last no longer than 4 minutes. If, however, you prefer to take a more leisurely shower (um, yes, please! ), you can still reduce your water waste with an efficient low flow shower head. These bad boys can save you roughly a gallon of water per minute and reduce your water use by up to 60%. Many of us prefer a long soak in the bath to a shower, but that shouldn’t prohibit those who prefer to bathe from making savings on their energy. Check out these electric tankless water heater reviews to see how much you can save. On average these will save you 22% on your operational costs per year. That’s a huge energy saving! If your home is lit by incandescent bulbs, then you may not be aware just how much energy (and money) you could be wasting. 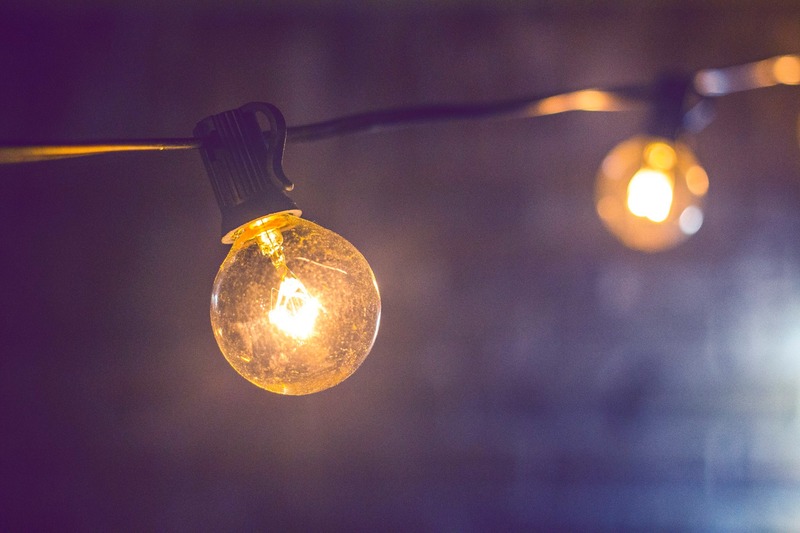 Incandescent bulbs heat up a filament to create both heat and light energy. The thing is that 90% of the energy created is heat energy and just 10% of that energy is light. This means that incandescent bulbs are just 10% efficient. Unless your family gathers around a lightbulb for warmth (not recommended), you should replace all your bulbs with more efficient compact fluorescent lamps or LEDs. We’re all quick to reach for the thermostat when we’re not happy with the temperature. The trouble is that not everyone adjusts their thermostat’s temperature throughout the day. Given that most of us spend 8-10 hours a day at work and 6-8 hours a day sleeping, we really don’t need to use the thermostat for 60-75% of the day. Manually changing your thermostat is an obvious solution, but investing in a timed thermostat can give you energy savings all year round. A lot of us are unaware of how much energy our devices use when active or on standby. Investing in a smart plug will show you exactly how much energy your devices are using in real time. Add all those devices together and you can get a really clear idea of how to use them more efficiently throughout the year.